As I wrote in my previous blog post “Who Am I?—Getting Impersonal,” the issue of who or what we really are vastly different from what we have been conditioned to believe. Reading writers like Eckhart Tolle has made me begin to understand the liberating aspect of not only the philosophical truth of the concept that I don’t really exist, but rather the deep meaning of its essential underlying reality. Of course you and I also began as an egg; one that was fertilized to combine two sets of chromosomes from a father and mother, and when I “hatched” I got the identity Tom Bunzel. The ancient Egyptians apparently believed that the identity formed in the womb when the pineal gland came into being, and was able to connect consciousness with the divine. 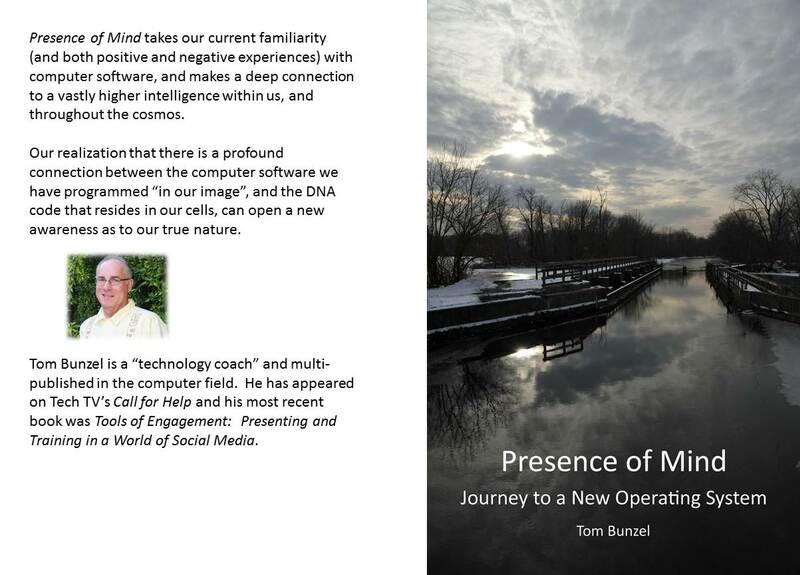 But neither the active pineal gland nor the religiously anointed person who became “me” is literally Tom Bunzel – that’s a label that was attached for convenience just like the bar code on the egg above. The egg above is not named “Joe,” or even 876544990 in any sense other than by human convention. Life doesn’t know it as an individual anything; it is part of a long chain of “Being” that may have begun with a chicken, but we know how that goes. As Eckhart Tolle describes in A New Earth, soon after the name is attached, the entity known as Tom Bunzel began to distinguish between things that were him and not him, and his and not his, and he learned that taking away things he thought belonged to him caused pain. We also soon “learn” that we are smarter or less intelligent than others, better looking or less attractive, and so on, and these deeply grooved beliefs can shape our whole lives. Unfortunately, as psychologists like Michael Hall point out, the massively overwhelming majority of this self-programming is negative—we are taught from an early age to think ahead and worry about the future, and look back and judge the past, taking us out of the reality of the present where all of life truly happens. That’s why a realization of the fragility of one’s personal identity can be liberating. When a bit of space is created from the onslaught of our thoughts regarding who we are and what we ought to do, we can sometimes find a level of inner awareness and peace, and even love. As I wrote in “Who Am I?—Getting Impersonal,” one meditation suggested by Tolle is to go inside and ask “Who am I?” Consider also that if you lost a limb, or even part of your brain, you would still be you, both legally and biologically. My friend Michael Jeffreys asks his students to try sincerely to go deep inside and literally search for the part of you that is You. According to science we might think of ourselves as a Genome—the unique map of our genetic code (DNA) that came with fertilization of our egg and which has now been decoded by supercomputers. As I’ve pointed out before, it’s like the application Microsoft Word, which is a block of computer code just like our DNA, but computer software “expresses” its code electrically through a silicon chip in a computer according to interaction with an end user, and its “expression” can be a poem, a screenplay or a legal document. According to geneticist Bruce Lipton what we really are is the evolutionary result of trillions of individual cells which organized themselves, for survival, into a more complex “organism,” culminating in the human brain. But we know that even the cells in our body aren’t static; our brain cells along with all of our other cells are dying and being replaced constantly. So if “we” are anything, it’s a field of electrical energy and memory stored in the brain, and brought to mind by our thoughts as an Ego or identity which results from conditioning – the prior memories of the conditions of our lives. And just like the bar coded egg above, and you and me, all of the “identities” that exist are completely artificial constructions and concepts, originating through consciousness, in the human mind. They exist only through and as a result of our thoughts—they are not part of nature or in fact “real” in any tangible sense. They can be represented by pieces of paper, like a driver’s license, but even these “things” refer only to an agreed upon identity or reality. The value or reality of your driver’s license is the same as the money you use to pay the registration—it exists only be convention, agreement and the conditioning of humans. Recently I attended an event at the Gateway where a monk who had studied in India entered an intense meditative state through breathing and inner work in which he just laughed—and for many who attended it became contagious. I believe that when our meditation let some of us jettison the conditioning and identities that are our “Selves” the absurdity of the seriousness of who we are as finite physical beings becomes apparent – and we must laugh from the depth of our souls. According to Eckhart Tolle, when someone says he doesn’t know who he is, Tolle offers his congratulations, because the “person” is no longer identified with his own ego, or an illusory sense of self. 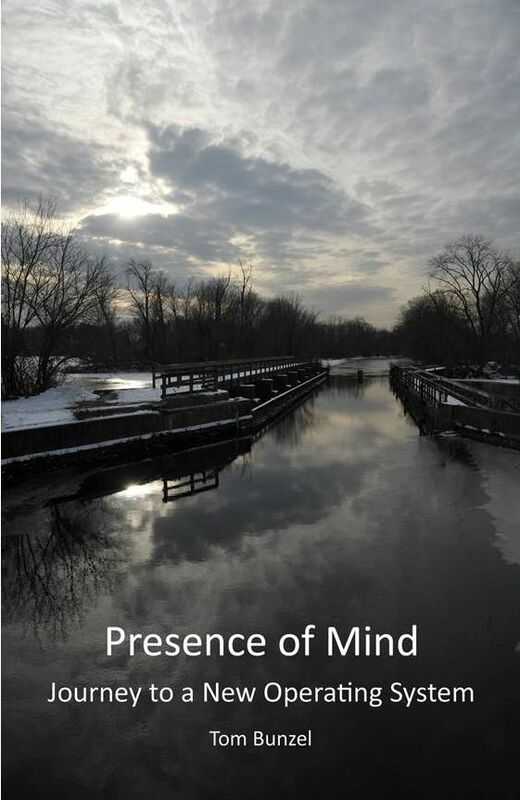 In fact, Tolle suggests that in meditation, a good mantra as you watch your thoughts float by, is to ask yourself “Who am I?” and go deeper, beyond your thoughts, to try to locate who or what is watching. Or, for that matter, where in the body are “You.” Can you single out a location—as you sense something in your leg, are you your brain? I discovered that abruptly confronting these ideas, and dropping the personality, without help or unexpectedly, can be a shock to the system. During the summer of 2008, I had to drop my tech writing identity as Professor PowerPoint when my “career identity” began to evaporate, broke away from an identity as my girlfriend’s boyfriend/protector (emulating my father), and stopped seeing myself as a secure individual who worked and had savings, and essentially as someone who thought he knew what he was “doing.” As none of these identities or roles seemed to work, it isolated me more and more from the people with whom I’d been connected within these roles. Looking back, I think that like a snake, I was shedding these roles, which were no longer comfortable for me, and it scared me to death. I tested out some other identities; I took a trip to Kauai and found that, “wherever I went, there ‘I’ was”… Although the surroundings were beautiful and again comforting, and I stayed with wonderful friends, I felt alone, and isolated. So what was happening? I sought out therapy and discovered the depth of the various layers of my personality, and in many cases their roots. Another way to look at this can be clarified by thinking in terms of The Four Agreements written by don Miguel Ruiz. These four concepts of correct living are based on ancient Toltec wisdom—an Indian tribe from what is now Guatemala and Southern Mexico who preserved their wisdom mainly through an oral tradition. And also, don’t believe your thoughts when they try to lead you astray—into reaction and judgment. The problem is—can you live like that? I discovered that I couldn’t. An intense period of self-observation began with a process of watching myself and my reactions to people and situations as though I was in a laboratory, watching what made me scared and occasionally what made me feel comfortable or even happy. This resonates with what Michael Jeffreys later suggested as “becoming the Scientist in your life, as opposed to the victim;” it was a revelation to me when I confronted the fact that the identity of victim was just as appealing to the ego as any of my other roles. One immediate benefit of this attitude is that it suspends judgment. And it lets you see clearly how you are operating. It took a long time but I could clearly identify prejudices toward negativity that were not shared by others—and I connected those with “agreements” I made with my parents—not to accept the world as a safe or loving place and basically to suffer, because of what happened to them. Again, Eckhart Tolle refers to this in some ways as one’s “pain body,” but more to the point he suggests strongly that if we observe ourselves with sincerity we can see a layer of negativity that underlies our perception of the world, and he says that “the world will always give us what we want” – in this case, pain. After a period of self-observation and surrender, I saw myself clearly as having chosen negativity. I had one incident where I received two pieces of mail, and in both cases I felt a sense of dread, and actually anticipated bad news before I opened either envelope. I noticed those feelings arise and gasped. And then? Neither letter met my expectations; AT&T had actually lowered my phone bill, and some other benefit payments were not suspended as I had feared. For 62 years, I had functioned within this operating system of fear and negativity. What could I do to change? I had read hundreds of books and followed numerous teachings, after therapy I worked with groups that enabled me to connect with other people with similar experiences and who also had gotten glimpses of the same ideas through various teachings. Ultimately, all of these teachings basically say: You’re not who you think you are. As a writer I am in love with words and ideas, but through these experiences I began to realize on a very deep level that the very concepts I had allowed myself to take as real were a trap. My personas, my beliefs, indeed these agreements were all encoded in language—that’s how I was programmed. Eckhart Tolle said, as soon as you name a flower or a bird, you’ve lost the connection with its essence, echoing the previously quoted idea of Krishnamurti—once you teach a child the name of the bird he loses the capacity to truly see it. So what have my thoughts, beliefs, ideas and concepts separated me from? Or as Dr. Vijay Shankar puts it in a brilliant DVD: “Life as it Is.” (This is the teaching sometimes referred to as Non Dualism). That reality of Life as it actually exists can be experienced in the night sky, when one looks at the stars and realizes that beyond one’s limited comprehension lies what we can call an “infinite” space. But like the word “God,” the word “infinite” is simply a placeholder – a variable in computer terminology – for something we cannot really grasp or understand in its totality. Most people I know, indeed many of my closest friends, don’t have a problem with this. Life is random for them—they are able to just enjoy it while it lasts. I always wanted answers, and it brought me to my knees. The answer seems to be—life is to be lived, not to be understood. But something else is going on. There is a recognition (re-cognition—remembering or knowing something we once knew?) that Life is not random. For one thing, there is a code to organic life that instructs it—like the software in our computer. We sense that the science we have placed our faith in is incomplete because it doesn’t take Life into account—and we are Life itself not as thought or words, but as an Observer–as Consciousness. I believe that is the disquieting realization that is taking hold and making many of us even more afraid. But we can’t really take it personally. It’s just Life. And to the extent that it is not experienced as a series of separate events beyond “our” control that make us afraid (victims)—and instead, we are able to surrender to its magnificence because we begin to sense that Life is Intelligent, and realize that it moves in ways far beyond the limitations of our own our own limited brains—we can breathe a bit more easily and have a sense of fulfillment. If anything, the rhythm of Life is played out in the tides, and it resonates not within our minds, but in our hearts.